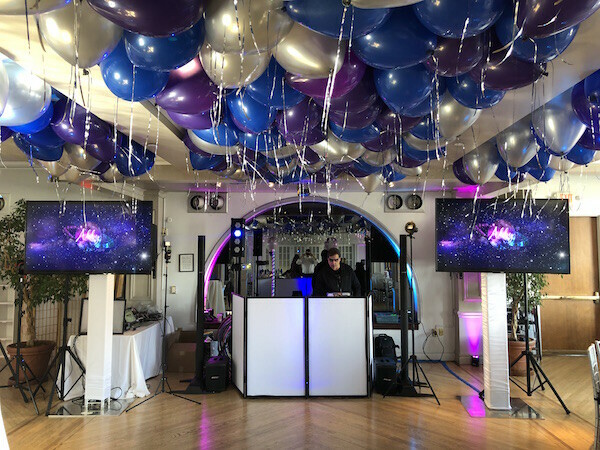 Abby had her Bat Mitzvah this past Saturday at the wonderful NYC Event space the Manhattan Penthouse. 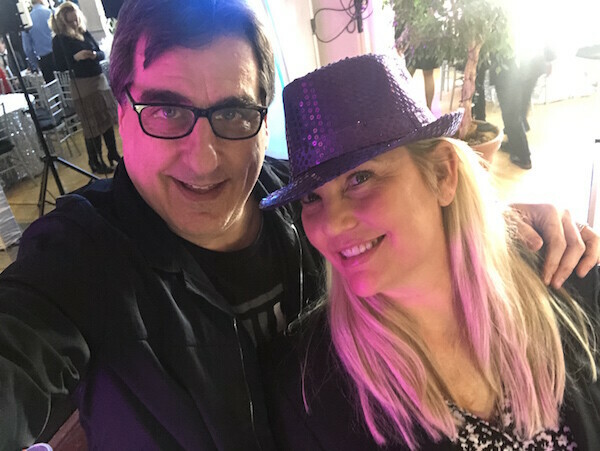 What makes the Manhattan Penthouse so special is a few things….The staff are friendly and accommodating and in a transient industry the MP manages to keep the same staff year after year. The staff is happy with their job and it shows. 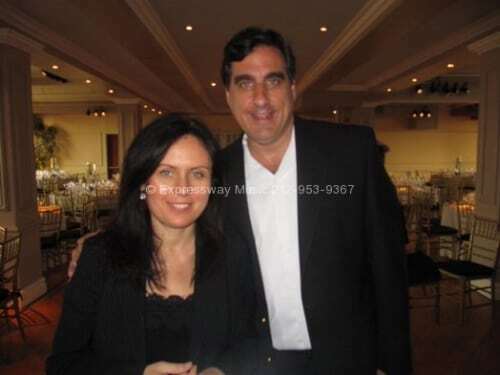 The Events are led by Monika Nemeth and Jeno Steiner who are on top of all the details of every event and when you meet them you know right away that they care and will make it so you have no stress on your big day! Another bonus of this venue are the Views! You can see for miles and miles from almost any window there. 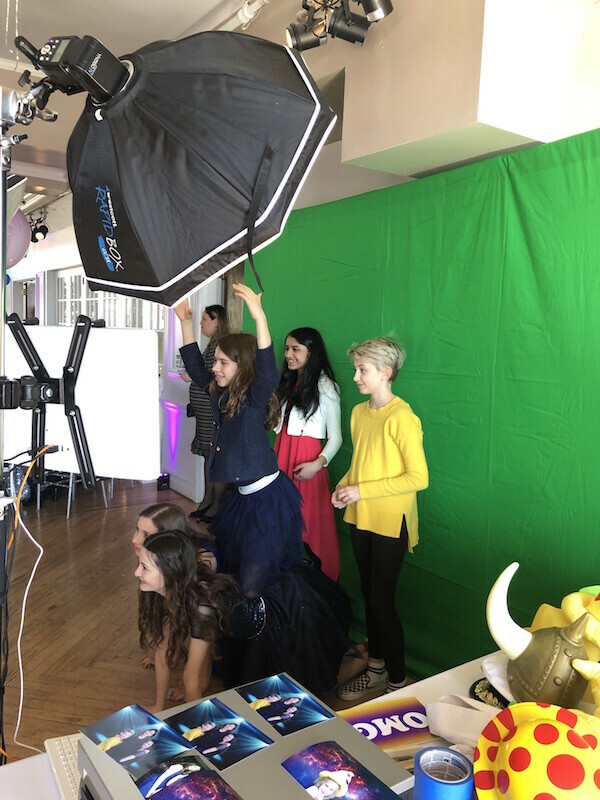 Check out the next photo (and the video after that) of the views from Abby’s party on Saturday! 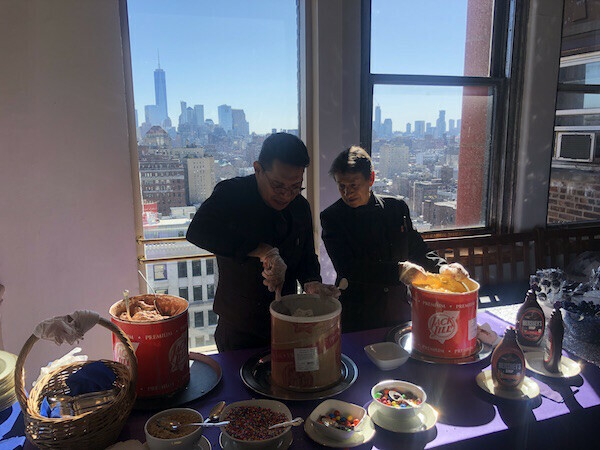 Look at the view from the dessert table at Manhattan Penthouse!!! Watch our Expressway Music Pianist Play overlooking the West Side of NYC! Abby’s folks wanted to make sure that the Party was going to have a LOT of dancing and because there were a lot of both Kids and Adults that they dance together as often as possible. We did not disappoint! When the adults were eating the kids danced and played games like Name that Tune, Musical Chairs, Coke and Pepsi, Hula Hoops and more! Expressway Music Dancer Julie kept kids dancing all party long! The Screens and Photo Booth were also a big hit all party long. Zap shots were shown all day on the screens of people enjoying themselves during the party! Expressway Music DJ Dave Set up before guests arrived. Danielle Photographed the entire party. She is friendly and on top of every shot. The Limbo contest was so much fun. 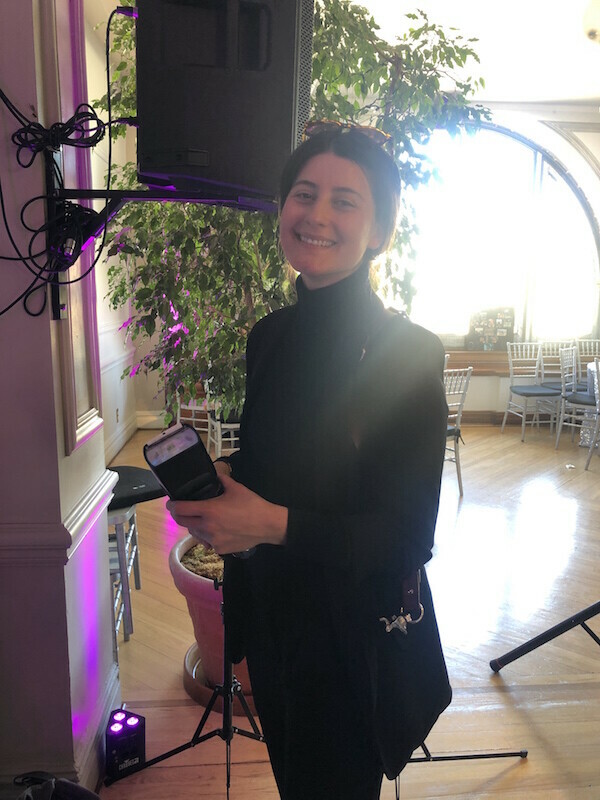 Thank you so much to Talya and Eric (Abby’s folks) for having us provide the entertainment for Abby’s party and for this lovely email we received the next day. Thank you for making our special day so wonderful. You delivered on everything you promised and beyond. We and our guests had a wonderful time.